Without much ado, let me tell you that Keshia Matthews is the next woman in the Ms New Brunswick series. Read about the series and how it started here. 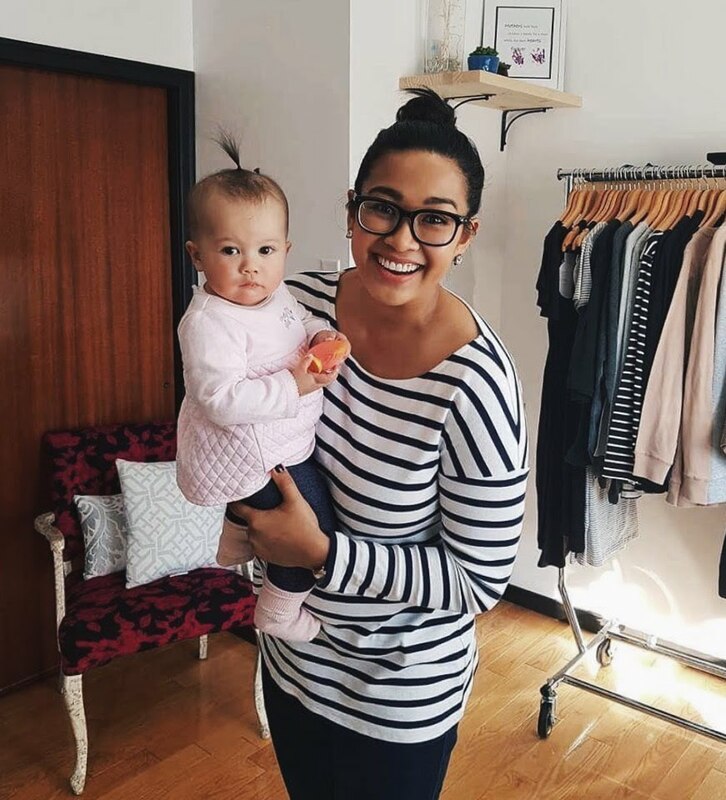 Keshia is the woman behind the pop-up maternity and nursing wear shop called Modern Maternity Boutique. I have been fortunate enough to attend one of her pop-ups when she was in Saint John and I can attest to the quality of her products. I went to buy shower gifts, but after seeing the clothes she carries, I can confidently say that I would wear any of them. I'm a big believer in comfort, and sometimes that means I'm wearing my maternity jeans even though I'm almost two years postpartum. I absolutely love the rise of the pop-up shop. I am thrilled at the innovative and clever ways that women are able to enter the small business world these days. I think that it shows forward thinking and business savvy to navigate ways around the financial constraints of traditional business ownership. Keshia told me that she is not opposed to someday opening up an actual storefront, but that now is not the time. I truly believe that this sort of thinking outside the box is exactly what will make her successful in her business. She's shown already that she is willing to roll with the punches, and that she won't let much stand in her way. If you are pregnant or nursing, or know anyone who is, I invite you to check out her showroom or send her a message. It is not often that I actually know a bit about a business, or get to experience it firsthand before I interview someone, so I am thrilled to share Keshia's story. She is dedicated to providing excellent customer service, and I promise you won't be disappointed in your experience. Tell me about Modern Maternity Boutique. 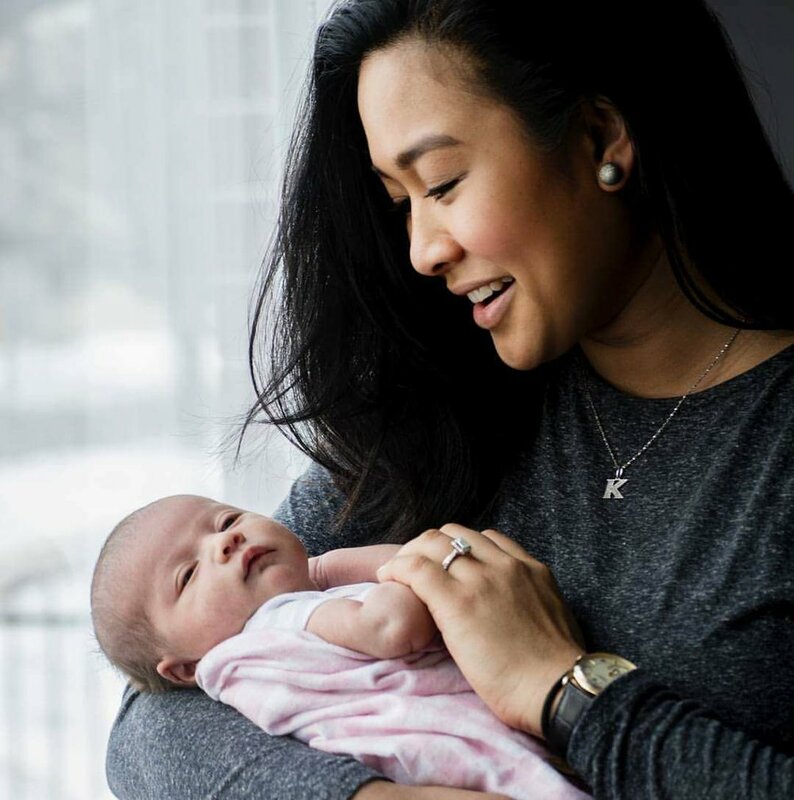 Modern Maternity Boutique is an unconventional shop that sells affordable and high-quality, functional clothing items for women who are pregnant or nursing. Actually, I carry items that would be great staples in any woman’s wardrobe, but all of them serve a particular function for women who are pregnant or nursing. 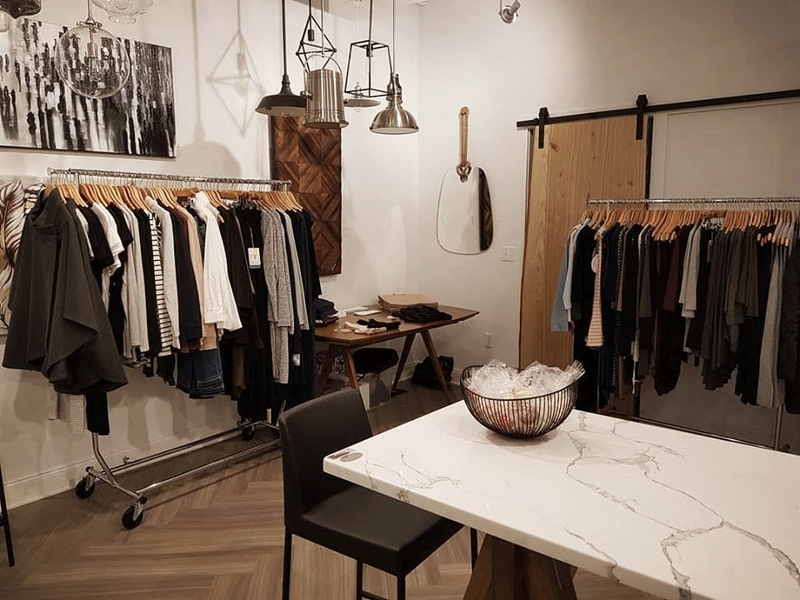 I have a showroom that is available by appointment where women can come by to shop and try on clothing, and I do pop-up shops all over the province. Only that I don’t have a store like most shops. I think that the idea of the pop-up shop is still a novelty to many people, and that is a large part of my business. I do have a showroom, but it’s in my home and I only see people there by appointment. I still have a registered business. I still pay taxes. I still have products and customers, I just don’t have a traditional brick-and-mortar store. I think that makes me a little unconventional. Modern Maternity Boutique came about because I wasn’t finding anything that I truly liked to wear in regard to maternity and nursing clothing. The business was born from that need. The amount of business I have done in the past few months has solidified that there is really nothing around here for pregnant or nursing women. I try to carry items that people can wear post-pregnancy and post-nursing, so there is value in the clothing after you need it for that. I have wanted to own my own clothing shop since I was 18. I have always had a love for fashion and the way it impacts our lives beyond just being things we wear. Clothes can change our moods, can impact how we see or feel about ourselves, and certainly (especially in the case of maternity and nursing wear) can serve an important purpose. It had been my dream for over ten years, and I sort of knew that I either had to make the leap now, or I never would. Nothing was stopping me this time except fear, but I took the next step anyway and I am so glad I did. What is like to have a dream like that realized? It’s awesome. I love what I am doing, I really feel like it’s what I should be doing. I never felt like working for someone else was my calling. I like to be in control, and have the freedom to create. I feel validation now in ways I never did before when I worked for someone. Also, running the business this way – out of my home – gives me flexibility to be with my daughter all day and to work around her nap schedule. It also allows me the time to pursue my other interests, especially music. Yes. I think they have been very supportive. With Fredericton I feel that things are slow to pick up, but the last 2-3 months the momentum has really picked up. I have been really successful with the pop-up shops and I am getting invited to attend more community markets and events and collaborations with other local companies and stores. I have done some fashion shows and a mom/baby yoga studio pop-up, I’ve setup in an interior design store that was having a nursery event, and things like that. I have gotten to partner with some really wonderful local brands and other retailers have been very kind and welcoming to me as well. Do people offer you advice because you are a relatively new business? Yes, and I appreciate that so much. I take feedback and criticism so seriously. That really helps me grow, and I cater to this community of women and moms and so I am committed to listening to them so I can improve. Everyone wants to order online, but everyone also wants to try things on, especially when they are investing in a piece that they need to function really well. The feedback I get from the women I deal with has informed every business decision I have made. Are your customers primarily in Fredericton? Not really. My customers are all over the province. I am based here, because I live here, but I am trying to not limit myself to Fredericton. I travel all over New Brunswick to do pop-ups, and I have a lot of clients who don’t live here. People will make appointments to come to the showroom if they are in town for some reason, but I also do online sales via Facebook and Instagram. That has been a really positive experience. Have you encountered any problems with your business? Honestly, my biggest problem is that I need a bigger vehicle. Storing and transporting inventory is a huge challenge, and I seriously just need a bigger car. It probably seems like such an obvious solution, but cars are major expenses so I will be struggling a little while longer with the one I’ve got. Some days I feel like I am going crazy. I just take it hour-by-hour. I book appointments around my daughter’s nap schedule if I can. If I have a last minute appointment, my husband has some flexibility at his work so he is able to help me out from time to time. Mostly, I try to be mindful of her schedule and plan around that. She comes first though. People really love babies though, especially pregnant women or other moms, so she’s at all my appointments and people love seeing her. Do you feel like having the showroom in your home is intrusive? No, I love having people in my home and I love having the showroom here. When people are here for an appointment it doesn’t feel like work, it feels like a friend coming over to chat. It’s not like a store, there is no pressure. It’s fun! It’s also great because if I didn’t have the showroom I would still have to store all my inventory. In the showroom it is all beautifully displayed and laid out and easy to access. I really love it. What advice would you give other women looking to start their own business? I guess I would say that you can do it too. It's hard, but you can do it if you have the right attitude and the right support system. I’ve gained a lot of knowledge from other business owners in the area, and my family is super supportive as well. Find your reason why – the thing that motivates you to keep going when it would be easier to quit. For me, that thing is my daughter. I am showing my daughter that its possible to love what you do and to make your own dreams come true. I like the idea that I am teaching her that you can have whatever you want, if you’re willing to work for it. They can contact me through the Facebook page, Instagram or email me at mmbmaternity@gmail.com. Showing young girls that they can achieve anything is so important. If there's a better reason to believe in our abilities and give life to our ideas, I don't know what it is. If your main motivation is teaching your kids that you can be two roles, mom and boss, then I think you're in it for the right reasons. I think that we all want to be a little better for our kids, and however you go about doing that, the fact that you're trying means you are succeeding.